You will receive the video through your email. My Wife and I live in the beauty of the Colorado Front Range . Our dream is to see more people using these excellently crafted masterpieces, and better yet having made them themselves. If you have any questions about these amazing boats feel free to contact us and we hope you will take the chance to try one of these boats out. 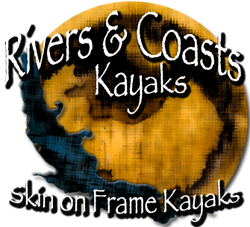 We are often seen paddling around and offering the chance to experience these great kayaks. It opens our eyes to how it was and sheds more light on the 'ease' of our life allowing us to appreciate what we've got a wee bit more. There is a tranquility that effects our life as we travel amongst the trees and upon the raw ground, choosing our own trail. While we view the lofty mountains and drinking from the crystal streams. There is a draw to encounter the unknown, to discover the forgotten scenery, and to become explorers of the vast depths found both within your surroundings and within yourself. These wanderings through the hills, grasslands, and deserts are the moments that clarify live and smooth the strains of the city's requests.